Youth numbers are up and overall play increased almost one percent, but challenges remain for the tennis industry according to the latest statistics released last week from the Tennis Industry Association (TIA). Youth tennis participation increased to 4.64 million overall in 2018, a rise of 1.6 percent from 2017. More importantly, youth “core players” (who play 10 or more times year) increased 6.7 percent to 2.83 million. Cardio Tennis, which merges tennis with a high-energy fitness workout, remained a bright spot for the industry, increased to 2.5 million players, a gain of 12.6 percent, which is the largest one-year percentage increase of all the 121 “viable” sports and activities in the Physical Activity Council report on sports participation. Of the 17.84 million tennis players in the U.S., research indicates about 1.3 million were Cardio Tennis players first. New and returning tennis players increased about 10 percent in 2018 to 4.58 million, but the number of players who stopped playing tennis in 2018 also increased, to 4.42 million, compared to an annual average over the last 10 years of 4.25 million. The challenge, says the TIA, is at the top of the “core” band where important “frequent” players (21 to 49 times) and “avid” players (50 or more times a year) lost ground, while the lowest band of “regular” core players increased. The April 2019 issue of Tennis Industry Magazine has been published. Overall tennis “play occasions” in the U.S. declined 3.3 percent to 384 million in 2018. “Core tennis players are a key to the number of play occasions, and on average, core players are hitting the courts 38.7 times per year, which is down from 40.2 times per year in 2017,” de Boer says. Since 2009, play occasions in the U.S. have decreased by nearly 22 percent — and avid player play occasions have fallen by 106 million, a decline of 31.4 percent. Equipment-wise, racquet, string and ball sales were all in decline for year-end 2018. Wholesale racquet unit shipments decreased 4.9 percent, wholesale string shipments decreased 2.8 percent, and total ball shipments decreased 7.4 percent. “As the trends continue toward casual play, with an increase in ‘sampler’ behavior, especially among millennials, it’s important to offer the tennis experience alongside other racquet and paddle sports activities with focus on fun, fitness and social as the cornerstones of play. We all need to strive to get more Americans active and healthy,” de Boer said. 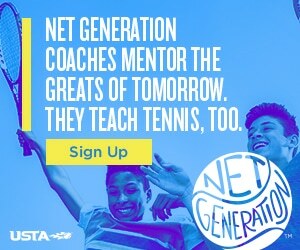 To see the full story go to www.tennisindustry.org.